Can't Wear Regular Contact Lenses? 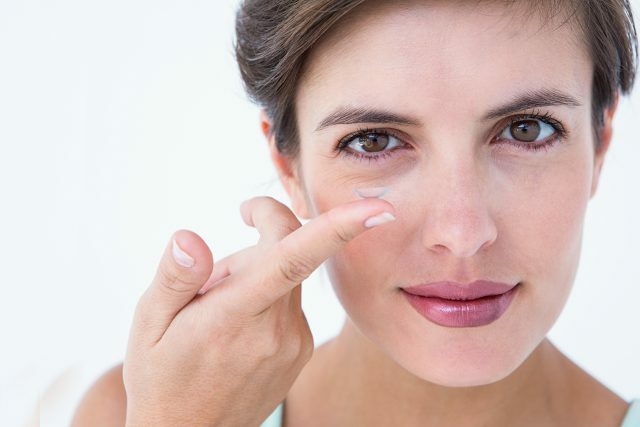 Some people give up wearing contact lenses because of dryness they feel when wearing soft contact lenses. Tears serve as lubrication to the eyes and can change during allergy season or as we get older. Some people have worn gas permeable lenses for many years but become sensitive to how they feel. Fortunately, there are lenses that can address each of these problems. Scleral lenses don’t have water, so they don’t dry out as a soft lens does. Scleral lenses sit on the sclera, the white part of the eye and usually feel much better.